This entry was posted in anxiety, choices, conversation, perseveration, perseverative speech, saying one thing meaning another, scripting, scripts, typing, typing to communicate and tagged austistic, communication, non-fluent speaker, non-speaking. Bookmark the permalink. “Communication bridge” really captures the idea that scripts can have a real communication purpose. This also makes me think that we often have “second” thoughts about choices we make and it is easy for us to communicate that we have changed our minds. Yes, exactly! For us “talkers” we just say – Oh, wait a second, I’ve changed my mind – and then that is discussed and we are maybe even able to talk about why or what we were thinking, but for someone who cannot use spoken language this way, this isn’t an option, they have to find some other way to communicate their “second” thought. And maybe having a “second thought” comes in the form of a wave a terrible anxiety, in part, knowing that they won’t be able to “say” what they need to in order for things to change. And if all of that is then misunderstood, I can only imagine how incredibly frustrating and awful that must be. This was a tough post to write because the words I kept trying to use were really inadequate for what I was attempting to explain. I often comment about the importance of parents really listening to what their children say; validating their words and the feelings which go along with those words. I’m sure some children/people with autism have the ability to consistently use words which match their feelings but many children can’t say the words and so we are left to look at other clues. My son(15) who is unable to speak and is in the very beginning stages of using ACC, shows me what he is feeling through body language and vocalizations. The ability to use his hands is very challenged because of neurology and low muscle tone. You have validated thoughts I’ve had that he might indicate something but really mean something else. After so many years I feel that I am finally able to “hear” what he is telling me more often than not. We have a long way to go though in expanding his/our ability to communicate. Your and Emma’s communication with each other about her use of memory to express feelings is a huge break through in understanding. WOW, that’s exciting! Wishing your son great success! Yes, it’s a game changer. My daughter does the exact same thing! Totally confuses me, when she gets so upset after making a decision, but this really helps it clarify the situation for me, thank you!! Oh I’m glad it was helpful and you were able to understand what I was trying to say. Just last night this happened again, different script, and the emotions were of extreme frustration that almost always lead to full meltdown and always at the same time of night. So we typed about it and Emma asked that I meditate with her and then she wrote that she “better think about going to bed” even though it was still fairly early. So we did that and then she went to bed. In the past I would have responded very differently, gotten all caught up in her upset and not understood that this particular script was about being exhausted and depleted and needing quiet and calm. Wow! Our kids are such a complication of communication and thoughts and feelings all bundled and tangled. Katrina does that same thing a lot, and I haven’t been able to understand what it’s all about, on top of the fact that we still don’t have a clear communication path. Thank you. This post has been especially helpful. From the way some people react to scripting and even try to wipe out our scripting you’d think we laid awake in bed at night trying to figure out just how to use scripting for the sole purpose of irritating NTs. And then they try to get us to communicate the way it works for them and blame us for it not happening. Likely because we are such a stubborn lot of not-quite-real-people! SARCASM SARCASM SARCASM – but really, it does appear that many NTs are thinking this way. It’s really, really awful that many people are more invested in changing something rather than understanding it. Maybe it’s the company I keep, but more and more I see the latter and not the former from the people I know and hear from. I’m hoping that’s a trend that continues to take hold! Different, but along the same lines, is the issue of communication getting truncated, which can cause misunderstandings. For example, my daughter rarely gives one-word replies. In order to reply, she has a need to spell out a complete sentence. So, for example, if I asked her: Would you like eggs or pancakes for breakfast, her first word spelled might be “Pancakes” and if I didn’t wait any longer, I’d assume she wants pancakes, but if I wait for her to continue, she might spell in full: “Pancakes do not sound good. I prefer eggs today.” For this reason, oftentimes I don’t depend on her yes/no or one-word replies as representing her fully-intended answer. YES! It is the same. Richard and I often joke with Emma, saying things like – Em, it’s a yes or no question. – But it’s not to her and she rarely will answer simply with yes or no. I know this and yet keep asking yes or no… this is MY deficit and challenge, continuing to ignore what has been demonstrated. It’s not out of stubbornness or even conscious, it’s very much a neurological glitch in my thinking. It’s like I do these things because they are my default setting and I have to go in there and change all my default settings to “manual.” Thank you so much for this, Linda. Another light bulb moment for me!! It is about communication by using shared referential experiences. Oh thank you for this! I will show Emma and take a look. I was thinking the same thing!! A whole society that just communicates using references to past experiences. I saw it when I was little and it taught me so much about listening to the subtext instead of (or as well as) the words. Thank you for another BFI (blinding flash of insight). My son is verbal and doesn’t really script but after reading this post, I think maybe that he has a similar process that when he is happy he will talk about things with associated happy memories, and when he is angry or scared he will talk about memories with those respective emotions. Listen to the emotions not just the word. Until today, I didn’t think I needed to do that to better support him. Now I do. Thank you. P.S. Love that episode of Star Trek referenced above – a great one. A second endorsement for the Star Trek episode! I will make sure I watch it. Thanks AM. 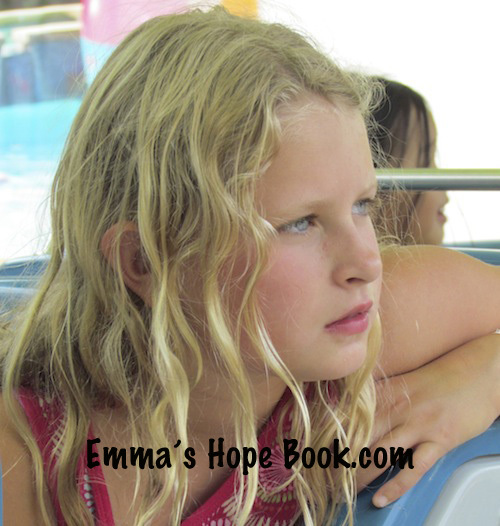 Now that you’re homeschooling, I had an idea to toss by you – Emma loves the zoo, correct? You guys should fly to Omaha for a day and go to the Henry Doorly Zoo. It is one of the top zoos in the country and boasts SO many exhibits and displays I can’t even list them all here. I could even keep my kids home, meet you there, and we could spent the day there. Just a thought, though, I think she would love it! Check out their website at omahazoo.com – See what you think. I find that the “translation” of my student’s communication/affect/and memories is the most mind consuming, challenging, and seriously time consuming ….necessary effort I can make! When I do this and support them in the process we have the most positive outcomes. I have told people that my greatest goal really is the “translation process”. And YES, so often means NO, later upon arrival. A very common theme. I love SOOO many aspects of this post, from all the contributors!!! Thank you all, very much!!!! Can’t wait to get to Star Trek! My son, who talks WAY too much, also recited huge chunks of his favorite movies to express and dissipate strong feelings. We spent years believing he never “talked about his emotions”. In fact, those happened to be words he couldn’t assemble, so he grabbed ready-made words that invoked the same emotions in him, and assumed we were smart enough to “get the same picture”. Wow. I love your take on scripting, Ariane, but this sentence stopped me dead. This is something I really need to work on tuning into in my own body/brain because like Emma, I often think that I want to choose one thing but soon realize that my actual preference is something else entirely. I was so impressed with the connection to anxiety rising and realizing it was the wrong choice. I still don’t make that connection and end up feeling confused as to why I feel so awful. I have a child who communicates verbally quite clearly, but has severe anxiety (as in an anxiety-type disorder), so when reading this I have an entirely different reaction: how do you help someone learn tools to cope with anxiety in this scenario? For instance, in my world, children will become so afraid of being afraid that they will be unable to go outside of their house. While it is important to validate that you know that their fears are very terrifying to them, it’s key for them to learn how to overcome their anxiety in order to accomplish the things they need/desire to accomplish. The best solution for me has been to expose my child to his fear, and have him realize he can handle the emotion and come through the emotion intact. He experiences the full weight of terror, and after his body can’t keep that level of emotional intensity up, it passes and he sees that he survived the experience he feared would destroy him. But he has to purposefully make that choice (in a structured way… i.e. we are going to deliberately do something that will provoke his anxiety and both he and I know it) and feel an accomplishment that he has within himself the ability to survive it. In this world, the common mistake of parents is to become the enabler: the child looks to you to decipher what is safe, the child looks to you to take away the fear. But ultimately this leads to bigger failures: A parent can’t say (for instance) that losing a friend won’t be painful, one must learn how to overcome disappointment, pain, fear, and anxiety internally. Also, understanding the origin of anxiety can lead to a narrowing of a world: avoidance of anything that creates anxiety. What you’ve described is very insightful: the description of an emotion from a past experience. This is very helpful in terms of understanding where someone is coming from. I feel like it could be a key to a strong foundation to build on: with clearer communication, trust is built. When someone is feeling terror, they know you understand the terror. With that trust in your understanding, they may be more willing to subject themselves to those horrible feelings in order to build up strength against them in the future. Maybe? I just wonder if there are keys for you with the ERP type therapy used for kids with things like OCD. I understand the thinking behind exposing someone to the very things that terrify them. I know this is something non autistic people sometimes do to work through their fears and you’ve described the process in your comment. However I question whether this is a helpful process for those with an Autistic neurology. Particularly those who are already hyper sensitive, already a prime candidate for extreme anxiety, already so sensitive to things that non autistic people often do not even notice much less fear. I had the opportunity to interview them while in Jerusalem a few years ago. They emphasized the need for exactly the opposite of what you describe. That, in fact, many (I doubt one can say ALL of any group of people) Autistic people can overcome deep terror by knowing they will be safe and slowly on their own terms and time table can and do work through many of their deepest fears. I’m of the same opinion as Ariane on this point. Exposure to the fear is helpful only when the person with the fear chooses it. I feel it’s almost arrogant for another person to make the choice on behalf of the person with the fear; doubly so when non-typical neurology is involved. Ariane, my grateful thanks for yet another eye-opening post & discussion. Thanks so much R’s Dad. The choice always has to be made by the person feeling the anxiety in order for it to be successful. And you certainly wouldn’t be able to try conquering it if you don’t have clear communication about what provokes the anxiety. People who feel the world intensely are constantly subjected to others telling them to just get over it. Completely wrong. The key, I think Is to try to find a way to help them see and build up the strength to overcome the anxiety and fear. And feel true apprecation from others for the enormity of overcoming that challenge. One last clarification: Re-reading my original post, it feels not at all the tone I meant it to be. I am not suggesting anyone jump into working on coping with anxiety when living a life of extreme over-stimulus. Someone was saying to me the other day that they learned social skills by being dumped into the normal world. I explained that it’s much like saying you learned to swim by being thrown into the deep end. People can figure out how to not drown, but that doesn’t make them good at swimming. I’ve noticed that’s exactly what many people decide to try with kids who have autism. Throw them into the deep end and say “Look, you see that person swimming? Do that!” You’d never do that with a kid who was diagnosed with anxiety. CBT and ERP for anxiety and OCD aren’t that at all. The kids have to make the decision, and it’s based on them coming up with a plan, with them identifying the triggers, with them identifying a coping mechanism, with them choosing to face the trigger. I think this is why I see more coping success with kids with autism who are removed from “the deep end” and who have a quiet space to try and build up coping mechanisms on their own. I’ve been thinking recently (because of my own issues), that I’ve almost never (in fact never) seen people providing structured ways for kids with autism to cope with anxiety the same way they would for kids diagnosed with an anxiety problem. On the other hand, the therapists who know how to correctly do CBT and ERP to kids with anxiety is low too. Regardless, I hope it doesn’t sound like I’m suggesting you need to be doing this. You can’t learn swimming skills on the fly in the deep end. You have to get to dry land first. Chiming in on this tangential subject was probably inappropriate for this blog post, but it seemed like there might be some nugget of something to be found there. Wow, this generated a lot of great insight. I loved Linda’s comment about truncated language. I have facilitated with my clients and been baffled by their rejection of what they seemed to just ask for. It would, of course, be easier if they just zeroed in on the preferred word, but that’s not how autists roll: many seem to enjoy playing with words, like someone who enjoys a glass of wine by swishing it around in their mouths. It’s something to savor, not hurry through. I will really listen to them now, and pay more attention to the more subtle messages they are communicating. Oh I just love the analogy of playing with words the way a wine connoisseur swishes a small taste of wine in their mouth before swallowing. That’s such a great image. For years, Brent would say ‘move back to Oregon!’ when he was getting upset, and people who did not know him would smile and try to engage him in a conversation about how nice Oregon was… support people and teachers would take it as Brent expressing his dissatisfaction for his present living situation, and wonder if something was going on at home. Brent would continue to escalate. Over and over and over, we, his family, would try to explain that it meant the opposite, that what he was actually expressing was frustration or panic or fear of failure in that situation, NOT that he really wanted to move to Oregon. It is still happening, and I am never completely sure that others truly believe me when I try to explain. Annoying for me, but so overwhelmingly exhausting for Brent. On a more positive note… two weeks ago in an RPM session with Lenae Crandell, Brent was doing math and learning how to calculate a planet’s distance using the SPEED OF LIGHT yikes!… when he started pacing and saying ‘go to bathroom’ … and we were not near a bathroom. But then Lenae asked ‘do you really need to go to the bathroom, or are you anxious?’… and Brent answered ‘GO!” at the same time he spelled ‘I am anxious’… and they just went on with the lesson as Lenae adjusted it to make it more understandable… and Brent was so happy. It was the high point of my week, to actually witness him saying one thing, and typing the opposite. Knowing that it is true is so different from actually seeing it for myself. This is just beginning to happen, and it is just so exciting. Fascinating so Emma way of telling you she was upset was by referring to a place in which she had a bad experience before it’s like a code. Thanks for sharing. Kids really persevere in communicating. I have misunderstood at times and they were insistent about trying again. After one episode, I remember how matter-of-fact the boy was. We had accomplished what he wanted: to communicate his feelings. I was ecstatic and he was already onto the next thing, mission accomplished.